Silent Auction Coming Wednesday, May 24 for donations to the MDA Houston (Muscular Dystrophy Association). This will give you a chance to bid on a workout for your favorite trainer to perform and it all goes to charity and giving back to the community. Come support ESN by bidding on your favorite trainers workout or come by on the day of the event and donate for a workout routine or two for your favorite trainer if you don’t win the silent auction. Be on the lookout for our new ONLINE ORDERING system for our ESN Healthy Kitchen coming this summer. This will make it easier for you to put your order in and to pay for your order without the hassle of paper menus and phone calls or text messages. Let your kids come to ESN for a chance to learn about healthy living. Save the Date for August 5 First ever ESN Powerlifting and Fitness Event. ESN Health Womens SPA Tri Club coming soon with our coach, Anne Smith. More details to come. Please let anyone know if you are interested in participating in these events or promotions. We will be able to help you sign up and get more information at the front desk of either location. We are always available through email and text and phone calls. Just let us know how we can help and we will be able to accommodate your requests. See you all soon and hope many of you participate in our fun Summer Events. Week #3 of 40 Day Fitness and Fat Loss Challenge. Keep it UP! Click Here for Week #3 Video. *What has changed the most about you since working out at ESN? 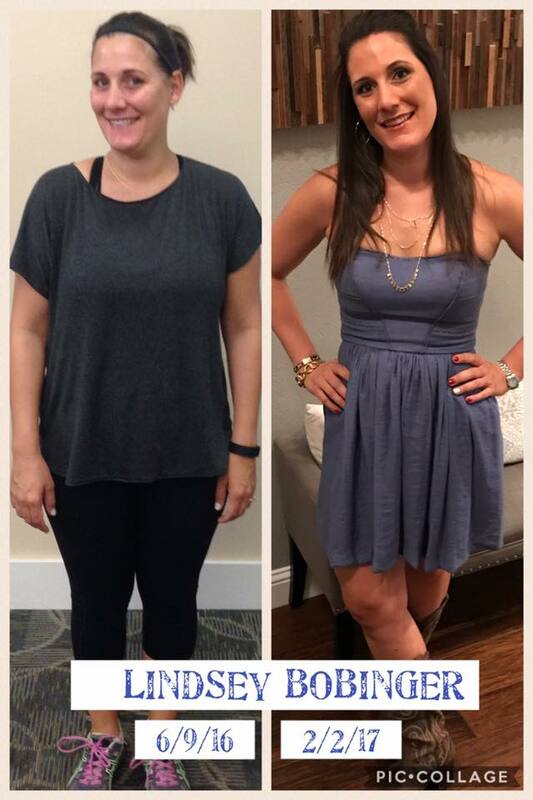 In only 8 months I had reached my first weight loss goal of “pre-children” weight and ran a 1/4 marathon without walking. I have slimmed down and have really started to enjoy working out. *How has ESN Health helped you? My ESN Coach, Andrew, has helped me stay committed to my goals! All of the ESN Coaches are always ready with tips, workout plans (even while I’m on vacation) and encouragement! *What are your favorite benefits of your new lifestyle? Feeling confident in my clothes and that my kids want to be more active and workout with me. *What do you find hardest about reaching your goals? 5:00AM WORKOUTS!!! Also, cutting sugar, dairy and ‘bad’ carbohydrates from my diet on a consistent basis. *What new goals have you set for yourself? My goals for 2017 are to lose 30 more pounds, go down two more sizes in my jeans and run a 1/2 Marathon! *What new sport would you like to try? *Any tips for those that share your goals? Stick with it!!! You will start to enjoy working out…or at least hate if you miss it! I can tell that ESN Coaches want me to succeed and that is really helping me reach my goals! I feel like if I ‘cheat’, I’m not only cheating myself…but them too! Way to go Jacob!!! We are so proud of what you have accomplished in the past 11 months! Hard work really does pay off! 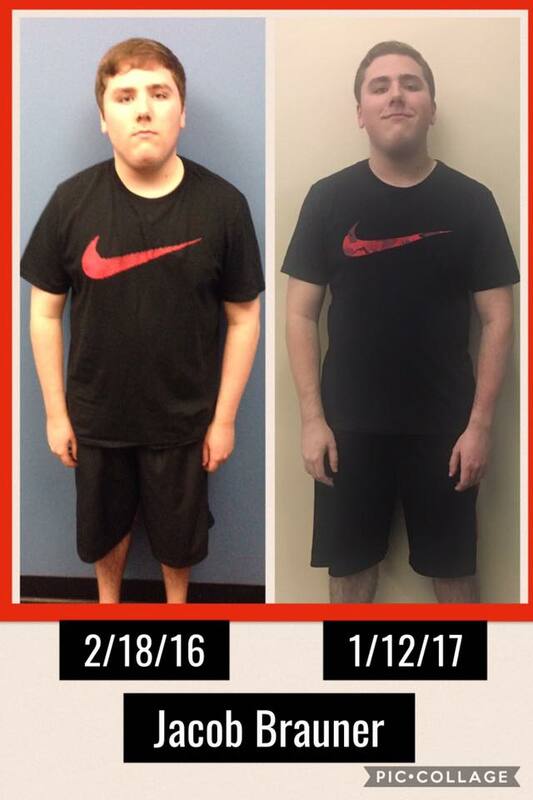 In only 4-5 months I noticed that I had gained more strength and stamina. Also, I am not only looking better physically but thinking better mentally. ESN coaches (Drew, Ryan, Andrew, David and Daniel) have all kept me motivated to workout and eat better! It’s hard in the beginning to stay motivated, but once you start seeing results it’s easier to stay on track. My goal for 2017 is to continue to gain strength and work on body (muscle) definition. It is difficult to get motivated at first. But once you start to get results it drives you to go further! *Would you like to try any new sports? I would like to try football again or basketball. 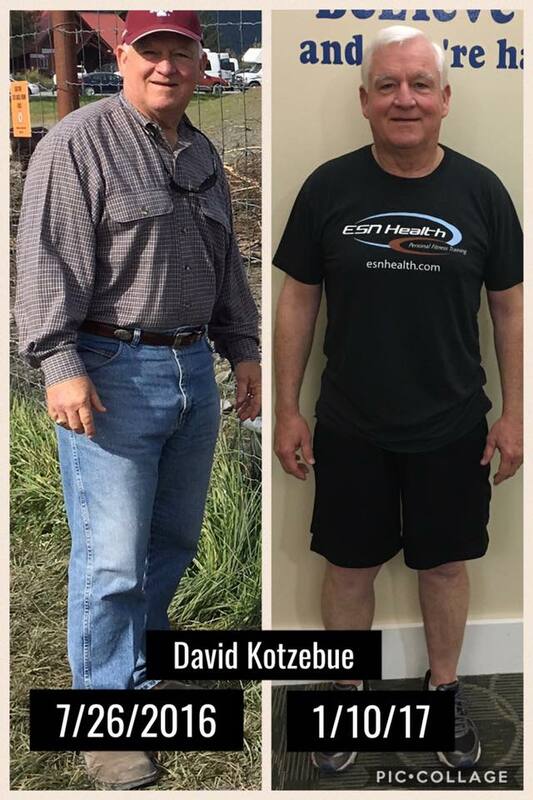 ESN Health not only made me look physically better but I also gained more physical ability. Because of ESN Health I have reached my goals and my journey is only beginning. To anyone considering ESN Health, it is without a doubt worth it and is one of the best decisions of my life. Check out the first video for the challenge on ESN Health’s Facebook page. Good Luck and work hard. And don’t forget to have fun and support each other, too! I hope everyone enjoyed watching Super Bowl 51 in Houston! What a Game and what a competition! Come in this week for a chance to win the raffle at the April 8, 2017 ESN Anniversary and Client Appreciation Party at La Centerra’s wine bar, Another Round. 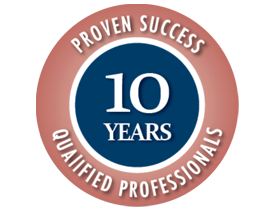 It is always so exciting to highlight the success stories of our hardworking, dedicated and passionate clients! Way to go David! We are proud of you and look forward to helping you achieve your 2017 goals! My self esteem has improved drastically as well as my overall outlook on life! ESN coaches have helped me stay accountable to my goals! With a consistent plan they have helped me lose weight, improve my strength and muscle tone as well as increase my self esteem! Being able to do things easily that were difficult before! Make the commitment and work diligently! Commit to doing it and work hard to achieve your goals! My new goal for 2017 is to lose another 10lbs. 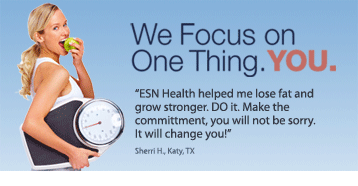 I strongly recommend ESN Health! It is a professionally run organization from top to bottom!